The New York Police Department's records office is notorious among reporters for being about as transparent as a bank vault. It's storied history of non-disclosure includes an overeager rejection stamp and a convenient tendency to “not receive” letters in time. Having submitted my share of records requests to cops and military across the country, I have few illusions of chipper customer service from police clerks. But the NYPD takes it to a whole new level. Reporters Matt Apuzzo and Adam Goldman, who shared a Pulitzer last year as part of the Associated Press team covering the NYPD’s surveillance activity, have summed it up perfectly: The NYPD doesn't answer document requests. It's not just reporters who've noticed. New York City Public Advocate and mayoral candidate Bill de Blasio gave the police department a failing grade in an April report based on its dismal response rate to Freedom of Information requests. By de Blasio’s analysis, nearly a third of requests submitted to NYPD go unanswered. I shudder to think how the department's grades would tank if de Blasio had waded into the requests that its records officers do answer. The reporter asked for a form required by virtually every police department in the country. He provided a precise six-month timeframe for the search. He even cited a case in 2011 where the NYPD was forced to release these exact reports to the New York Civil Liberties Union. He did everything but cite the exact form number (it’s PD424-151, if you're wondering). Nor did he mention that NYPD has compiled an annual summary of these reports since at least 1986. It is baffling to think that someone whose sole job it is to guard NYPD records should be unable to track down discharge reports with a few mouse clicks. But NYPD’s bureaucratic funhouse has a couple more corridors. In April, I requested a list of all handgun and concealed carry permits issued within NYC for the past five years. This is a controversial request, particularly after a Westchester, New York paperpublished the names and addresses of pistol permit-holders, so I expected some pushback from the city on privacy or public safety grounds. Again, a basic online search leads you to the precise forms that NYPD requires for handgun permits. Having received NYPD’s rejection on May 17, I mailed back my appeal letter on May 29. My letter outlined my objections to Mantellino’s apparent lack of familiarity with his own system or his obligations under New York law. Four months and a follow-up letter later, NYPD mailed their response, which amounted to: Sorry, we never got your letter. But we would have rejected it, anyway. 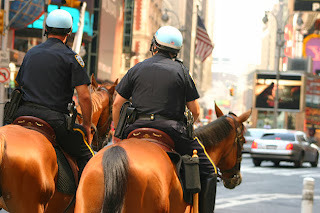 That’s the thing about handling matters solely by postal mail, as the NYPD insists on doing. Since my appeal “never arrived” within the 60-day window, the department didn’t even have to respond. Moreover, NYPD Records Access Appeals Officer Jonathan David continued, “Had your appeal been timely, your appeal would be denied.” David cobbled together a variety of justifications for not attaching a spreadsheet—in flagrant contradiction to a state advisory opinion published in June that outlined why these records are indeed public. 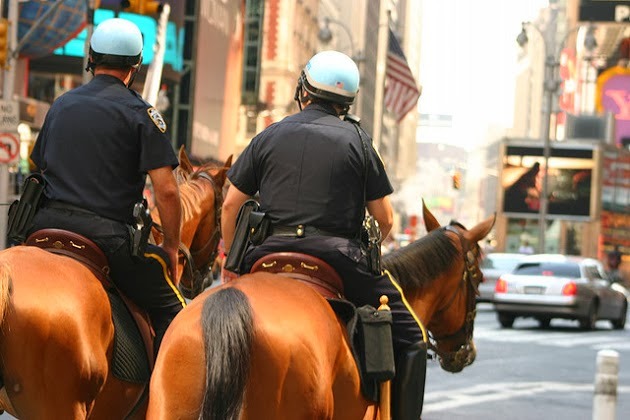 One way or another, the NYPD is determined to avoid releasing information. Whether it’s “losing” letters or rejecting standard requests, the police department's information gatekeepers have demonstrated the direct extent to which they’ve lost sight of transparency principles. Government documents are the public’s by right, and we must continue to demand them. Christ the King High School in Middle Village, Queens, is leasing space to a new charter school. 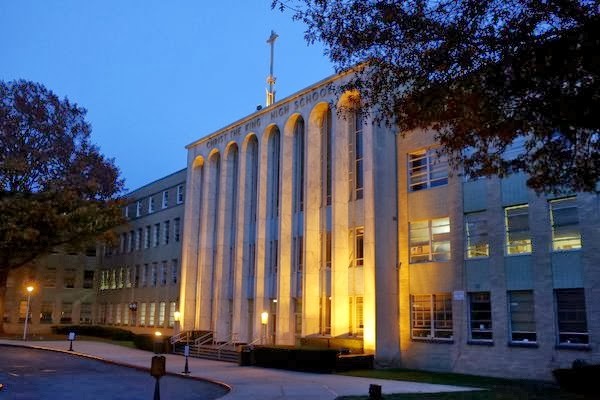 For more than 30 years, the Roman Catholic Diocese of Brooklyn and the nonprofit group running Christ the King High School in Queens have acted as one, managing the twin hurdles of declining enrollments and shrinking revenues with a joint aim of fostering parochial education. But their relationship turned shrill on Monday when the diocese sued the high school in State Supreme Court in Queens, accusing it of flouting an agreement the two sides struck in 1976, when the financially strained diocese shed the day-to-day operations of its six high schools in Brooklyn and Queens. And much like the debate over the sharing of public school buildings, the fight comes down to space, money and the growth of charter schools. At the heart of the dispute, according to diocesan officials, is Christ the King’s refusal to turn over nearly half the revenue it is earning by leasing 50,000 square feet of unused space to a charter school that opened in September, the Middle Village Preparatory Charter School. Since it is free, the diocese argues, it could sap students from Catholic elementary schools, which charge tuition. Diocesan officials said two other Catholic high schools among the six spun off in 1976 — Bishop Ford and Nazareth in Brooklyn — also rented space to charter schools, but in an accord with the diocese they put 40 percent of their charter revenue into a trust for needy students attending Catholic elementary schools. The diocese cited the agreement struck with Christ the King 37 years ago that called for a Catholic high school to be run “in and upon the entire premises,” and in its lawsuit, it wants the school to be declared in breach of the agreement, which could give the diocese power to re-establish control of the property. “We don’t know what’s going on, on what we perceive to be our own property,” Mr. McLaughlin said. But Thomas V. Ognibene, a former city councilman who is spokesman for Christ the King High School Inc., the nonprofit that runs the school, said that diocese officials “let their rights lapse,” when they did not reaffirm the 1976 agreement in 2006, as the agreement required, an act Mr. McLaughlin conceded the diocese should have carried out sooner. Mr. Ognibene said the diocese did not balk when the day care center opened in 1993, or when the continuing education center opened eight years later. Mr. Ognibene rejected any suggestion that insider treatment was given to Janine Michel, the daughter of the school president, Michael Michel, and said she had generated $3.7 million in revenue since she took over the day care center a few years ago. He also said the school had sent checks, from charter school revenue, to the diocese in July, August, September and October, an assertion that Mr. McLaughlin disputed. Mr. Ognibene said Christ the King was paying tuition to some Catholic grammar schools for seven of their students who had switched to the charter school.